It's good to be in first place. At least that's what I imagine Panasonic is thinking when it comes to their line of mirrorless system cameras. Panasonic was the first company to release a mirrorless camera to consumers in 2008 - the DMC-G1. 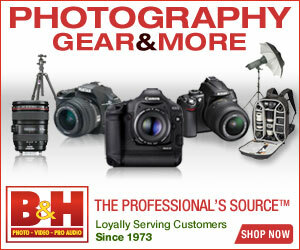 Since then, they have continued to enhance and improve their line of mirrorless system cameras. A quick look through Panasonic's marketing literature reveals the use of a lot of superlatives: "first", "smallest", "lightest", etc. Panasonic is able to make these claims because they have a big head start on this new breed of camera - other companies have to catch up. The main thing that you'll notice about the Panasonic mirrorless system cameras is their size and shape. While they are still much smaller and lighter than "true" digital SLRs, they bear a great resemblance — any of the Panasonic cameras could be mistaken for a digital SLR. Other manufacturers have opted for more streamlined camera shapes - closer in style to compacts, if you don't count the big lens attached to the front. Form factor aside, these Panasonic cameras are packed with features, including flip and twist LCD screens, video capture modes, face detection autofocus, custom color control and Panasonic's intelligent auto (iAuto) mode. Panasonic is also the first company to introduce an LCD screen with touch control (on the DMC-G2): you can change camera settings and take pictures just by tapping the LCD. The GX1 has a touch-screen LCD that can be used to control a variety of camera settings — it can also be used to autofocus and even to take pictures if you so desire. The GX1 is also compabitle with the new LVF2 electronic viewfinder. The GF3 is Panasonic's smallest and lightest mirrroless camera. It's also the simplest, because in order to reduce the size, Panasonic had to strip away features. Overall, the GF3 is not all that much bigger than a smartphone...until you attach a lens to the front of it. If you'd like your mirrorless camera to have a viewfinder and a flexible LCD screen, then the DMC-G3 is the one for you. It also includes a newly-developed 16 megapixel sensor. The G2 is the first camera to include a touch-screen LCD that you can use to adjust camera settings and even to take pictures. The flexible LCD flips out from the camera body and rotates for variable angle shooting. The G10 is a less expensive alternative to the G2 and does not include the flexible touch-screen LCD. It also has less options for shooting video and a lower resolution viewfinder. This Panasonic mirrorless digital SLR eliminates the built-in flash and the flexible LCD available on the two previous models in order to reduce the size and weight of the camera even further. If you want to make professional-looking home movies, then this is the camera for you: the DMC-GH1 offers a full HD 1080p movie mode. You can change exposure settings manually for video capture and continuous autofocus helps ensure your subjects look sharp. This is the first mirrorless DSLR released to consumers. Small in size and low in weight, it includes a flexible 3 inch LCD that flips out from the camera body and swivels. The included high-resolution viewfinder helps when the LCD is hard to see.